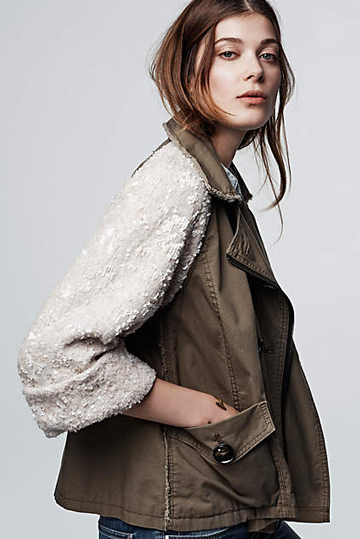 In my book, an anorak with luxe shimmery sleeves is the coolest way to transition into fall. That it can be worn both inside and outside is an additional bonus! This is just a way cool jacket. LOVE it completely. Rustic but glam and chic.